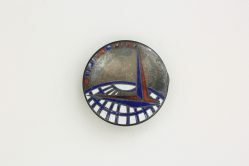 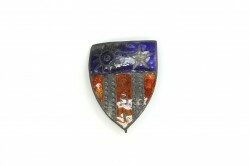 This pair of epaulet badges or distinctive insignia are made of enameled metal. 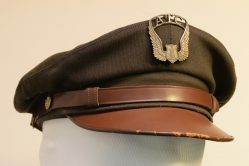 Distinctive insignia were worn by officers on shoulder epaulets and by enlisted men on the lower lapel. 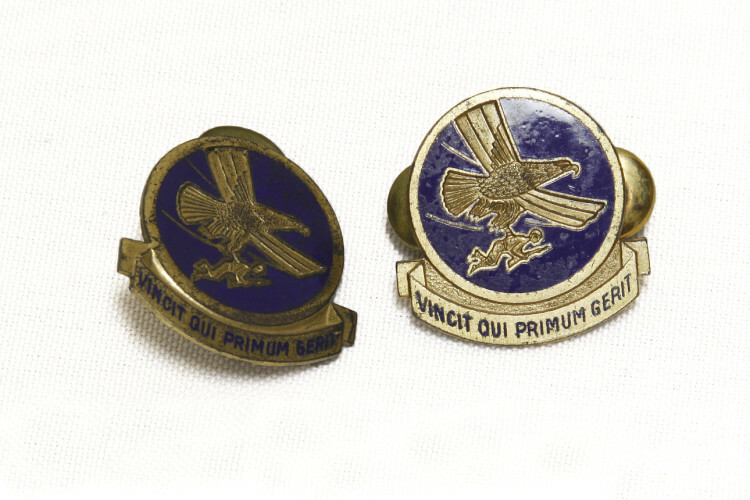 These badges were worn by Captain William W. Wurster, a pilot assigned to the 375th Troop Carrier Group, nicknamed the Tokyo Trolley.